Ganz Berlin feiert die „Fete de la Musique“ und auch bei Fantom gibt es Live-Musik. Am 21. Juni 2014 eröffnen wir nicht nur eine Fotoausstellung des ugandischen FotografenKibuuka Mukisa Oscar; aus Uganda haben wirTänzer und Musiker des Breakdance Project Uganda (BPU) zu Gast, dessen Arbeit Kibuuka seit Jahren in seiner Arbeit dokumentiert, und die Berliner Band Zaunkönig, die seit einiger Zeit mit den ugandischen Musikern zusammenarbeitet und diese Begegnung in Berlin organisiert hat. Auf die Tanzeinlagen freuen wir uns jetzt schon! Kibuuka Mukisa Oscar born and raised in Uganda is a citizen of the world using photography to spread HAPPIOLOGY. Happiology means giving a smile to the world. 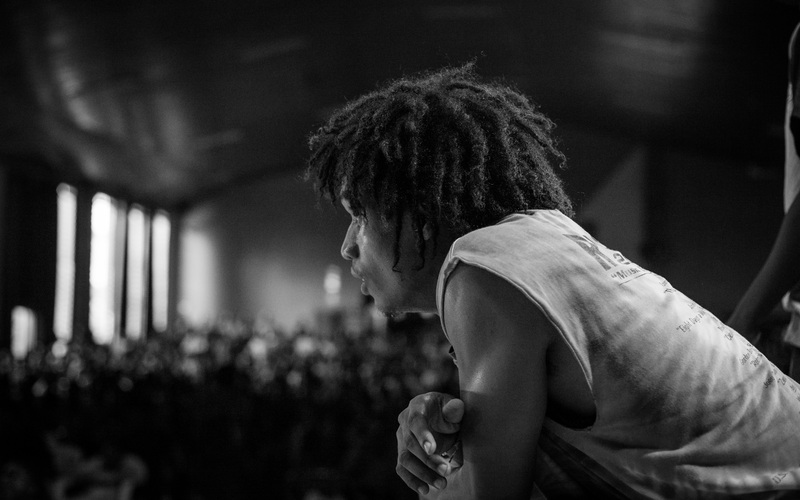 HIPHOP, EXPRESSIVE ENERGY, and SOCIAL MOTIVATIONAL CAUSE inspire Kibuuka’s images. He works as a freelance photographer mainly documenting events and making short films, constantly capturing beautiful light and THAT moment. 2013 Kibuuka received an Honorable Mention in the story category of Uganda Press Award organized by the Foreign Correspondents‘ Associations of Uganda. Since late 2006 Kibuuka has been working with the Breakdance Project Uganda (BPU), a nonprofit youth organization that uses breakdance and other elements of hip hop culture to empower young people and promote positive social responsibility: Breakdance for a positive social change. Kibuuka expresses himself brilliantly with a pencil or a spray-can. Graffiti is an element of the Hiphop culture that he spreads by teaching the visual arts class of Breakdance Project Uganda. The class is another path to reach the organizations’ aims like building self-esteem, leader ship skills and bridging gaps between multiple social barriers. The personal objectives of his class are “giving a smile to fellow youths and sharing a platform of positive self-expression and discovery through lines and colours plus challenging creativity and imaginations“. As the camera caught the students‘ attention Kibuuka also started teaching photography and sharing his knowledge with them. In 2011 Kibuuka co-founded “BREAKFAST JAM” a preeminent annual event that brings together different elements of hip-hop & urban art, with the main focus on breakdance. It is Uganda’s most outstanding breakdance competition featuring top breakers after a series of elimination battles in various communities. The event also features Rap, Beatboxing, Djing, graffiti/visual art, dance and photography workshops, performances, hip-hop exhibitions and a panel discussion on the relevance of hip-hop in the contemporary society. ‚Hiphop For Society‘: an annual anniversary event organized by Breakdance Project Uganda. The eventmainly focuses on showcasing the positive roles of Hiphop to the society. The event takes place every January at Sharing Youth Centre Nsambya, Kampala in Uganda. 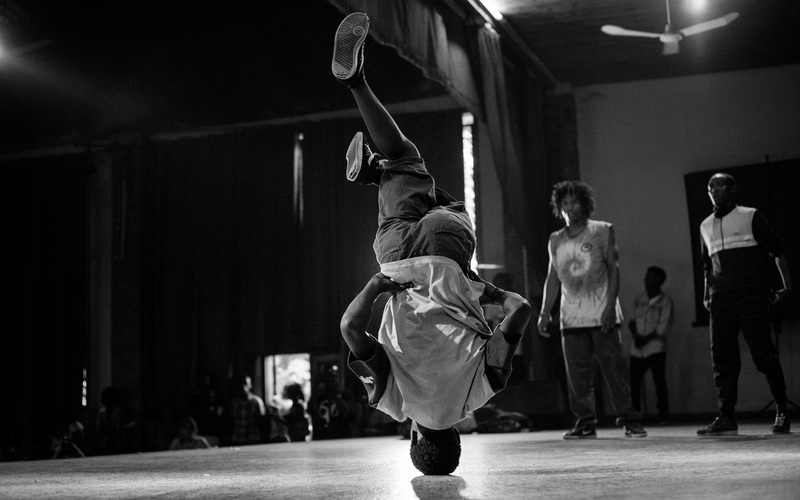 Since 2012 Kibuuka has been working on documenting the Breakdance communities in Uganda. The concept is to show the power of breakdance, how it connects the youth throughout Uganda and surrounding countries and how it empowers young people in terms of skills that broaden their networks and options. Through the energy of breakdance and the sharing of skills the global community has become aware of how breakdance is being used for positive social change in Uganda. 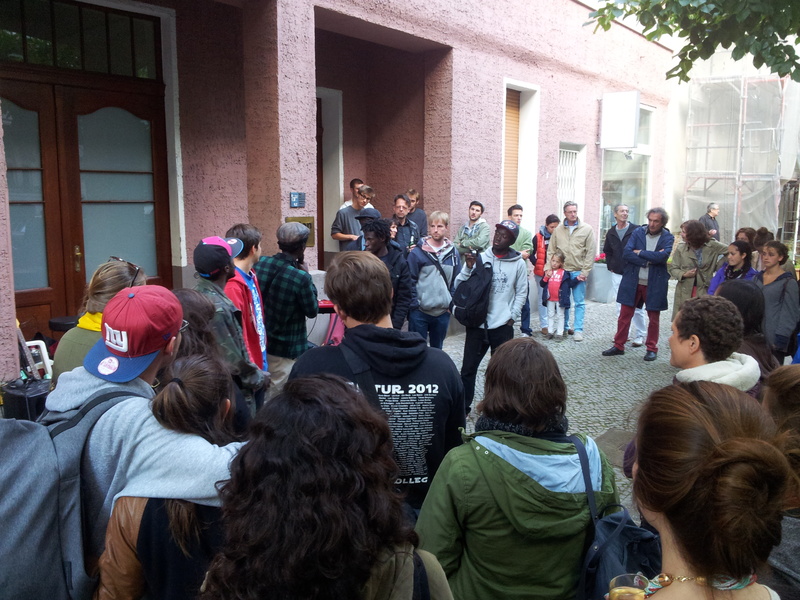 You are currently browsing the Fantom - Netzwerk für Kunst und Geschichte(n) blog archives for Juni 2014.